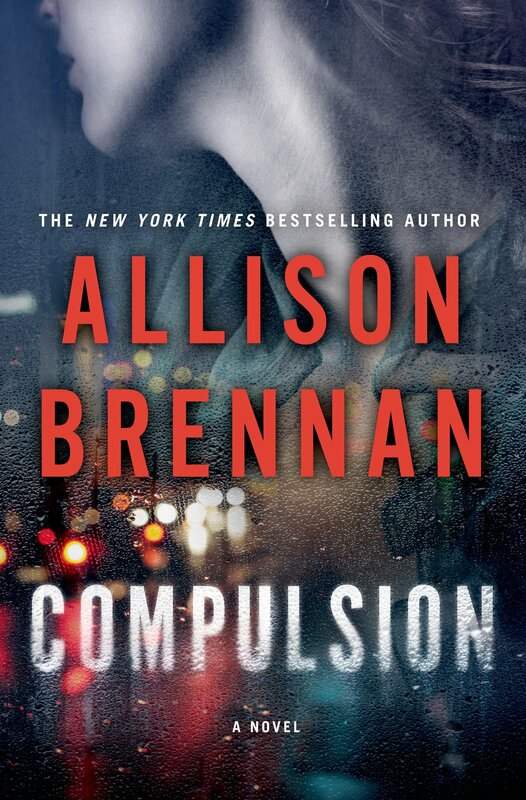 This entry was posted in #amwriting, #writetip, #writetips, accessible writing, advice for fiction writers, publishing, revision and self-editing, self-publishing and tagged Allison Brennan, Compulsion, romantic suspense by Jodie Renner. Bookmark the permalink. Good morning, Allison, thanks for visiting. You credit your former editor at Ballantine for helping you see the big picture in your novels, but how did you get the attention of Ballantine? Did you have an agent at that time, and do you still have the same agent? Hi Amanda! Yes, I found an editor in 2004. My first two books I queried 50 agents each, and was soundly rejected (though, my second book garnered a few full requests and then agents who asked me to send them something else.) 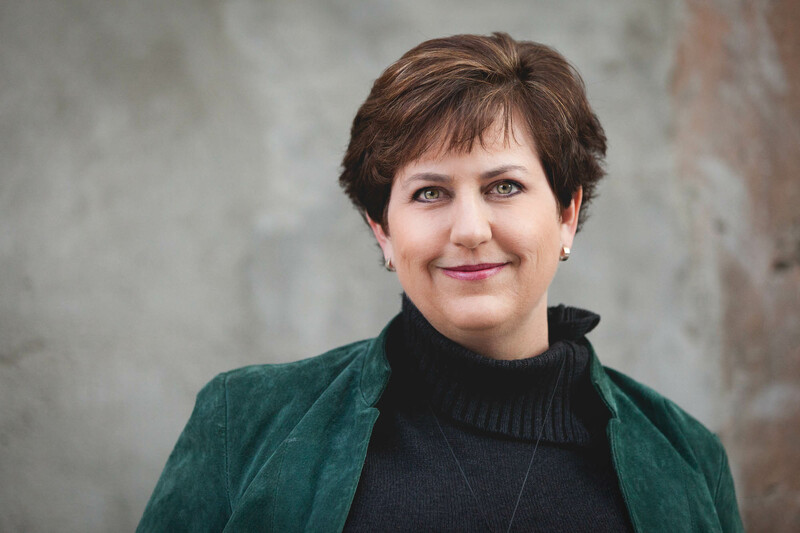 By the time I wrote my fifth book, I had a feeling it would sell … and I queried 12 agents and had 7 requests. I signed with an agent who, 3 weeks later, sold the book to Ballantine in a 3 book deal. I’m no longer with that agent … I’m on my second (and hopefully last) agent. I still believe that most authors who want to break into traditional NY publishing need an agent, or at a minimum a literary lawyer. There are too many clauses that can screw authors in contracts. I also think that having an agent (a good agent, mind you!) helps get you read by the right editors for your project. David — I remember Sue Grafton was interviewed once (Writer’s Digest maybe, I don’t remember) and she said no writer is good until the fifth book. Something like that 🙂 … I think some authors might take longer. I consider that I’ve also improved over the 25 books I’ve published, that there are some books that I think are a giant step forward — better written, better stories, better all around. “Trunked” them! That’s a good one. I’m the kind of person who saves wood scraps and old fence boards to reuse in other projects. It’s hard not to keep from doing that with writing projects that are still on the table, like dead fish. Guess I should trunk ’em and move on. I wrote six books before one sold to Dorchester back in the day. That started my career as a published author, but I needed all those previous steps. And the learning didn’t stop with publication. My editors taught me most of what I know today (along with other seasoned authors whose workshops I attended). No matter what stage you’re in, we always have something new to learn. And I definitely agree that anyone considering indie publishing must invest in hiring editors as well as professional formatters and cover designers. Hi Nancy! Yes, I learned immensely from my editor and Ballantine. We worked on 17 books together before I changed houses. And I’ve learned with my new Minotaur editor. I’m a far better writer today because of both of them. I’ve taken workshops, both in person and on line, after I published especially in areas where I felt I needed help. When I switched houses, one of the things I told my agent was that I wanted an editor who edits. I recognize that some editors don’t do developmental editing, at least no the depth I want. So when I signed with Minotaur, my editor knew from the beginning that I expected a revision letter with every book. 25 books later and I’ve had a revision letter on all of them — some lighter than others, but some substantial. There’s simply no substitute for experience. I’ve learned a great deal from those editors thoughtful enough to comment on my ms. It’s painful, but the experience sharpens your craft. I remember my first revision letter. I almost cried. I thought the book was great … and they bought it! I was scared to death to touch the book for fear of screwing everything up. But … once I started, I realized how much better her comments made my story. I ended up rewriting the last 100 pages because I had a plot point she thought was contrived … and it was. Something happened for the sole purpose of setting up the climax. I changed it, but de facto everything after that had to change. Hi Allison, thanks for subbing for Jodie and sharing your outstanding tips and advice. When I was a kid, my mother told me that when you cook pancakes, always throw the first one out. Little did I realize that so many years later that tip would be solid advice for beginning writers. Today, indie publishing has proven to be a blessing for hybrid authors like me and a curse for those just starting out. And it’s become painfully obvious that today, you can judge a book by its cover. Thanks again for dropping by TKZ. Hope to see you in NYC. Your mother was very smart. I do the same thing. Oh, yeah. Sooo many pancakes… Good to have a dog who loves them. Welcome to TKZ, Allison! Thanks for sharing your well-earned tips on the road to becoming a successful author! Your creativity, hard work, dedication, and openness to suggestions for improvement have taken you to bestselling status. Kudos to you! I can appreciate what you’re saying. I’m working on a piece now which draws on a number of elements from earlier projects I have abandoned. I spent hundreds of hours and wrote tens of thousands of words for those abandoned pieces, but in the end, each of them either fizzled or turned out to be unpublishable. At least I’ve been able to salvage two characters and a portion of the setting for the story I’m writing. However, book #3 which was total garbage had a great set-up and premise and heroine. But it wasn’t a strong enough story for a full-length book. So I salvaged the concept and opening scene and rewrote it into a long novella and self-published it. (Murder in the River City.) So far, it’s my best selling indie title. Book #2 was very poorly executed (the writing was mediocre and with lots of boring scenes that didn’t move the story forward) but the inciting incident was one of the best I’ve come up with (attempted assassination of the lieutenant governor of California.) And I loved my heroine. But the story needed tweaking … and so I kept the first couple chapters (totally rewritten) and then wrote the rest new. It’s SOO much better, and is not a long novella (novellette? 50K words) in an upcoming charity anthology SWEET DREAMS. “Aim to Kill.” In fact, it’s probably my favorite novella to date. I had the opposite problem with my first manuscript. Over 140,000 words (more book for one’s buck, I thought) but not enough going on. I kept adding reasons cop hero couldn’t solve victim heroine’s crime, but there wasn’t enough depth. Agents asked if I’d considered writing category romance. Eventually, I did learn enough to revise and get some more characters and more conflict in there, and it was published as a romantic suspense (but nowhere near that original word count). Hear, hear! This is so true. I find it very interesting that so many authors are now publishing those first books that should be sitting in boxes under the bed. Writing is a process and it takes time to learn craft. Thanks for sharing your experiences. Now I’m very excited to read the novellas/short novels. I like how you took previous elements from your first books and managed to reuse them. That make so much more sense than just publishing those learning activities. I will never publish Hot Latte. I don’t even have a digital copy of the file, it got lost at some point. Or deleted. I would love to write a good frame story, though … that might happen at some point. Good luck with your submission, Lyn! I totally agree, but there are some circles where I wouldn’t dare utter those words. My first novel will NEVER see the light of day. It’s that bad. But, like you, it was a learning experience, one I wouldn’t trade for the world. I, too, have stolen pieces for other books. Honing the craft of writing takes time. I’ve written four novels and feel like I’m just scratching the surface. And apparently, NY agrees. 🙂 However, now I’m revisiting some of those books and applying what I’ve learned about story architecture and, I have to say, I’m glad agents passed on them because they are so much stronger now. Onward! Exactly. We learn as we write. That’s the truth in everything — athletes may have some natural talent and desire, but without the endurance and love to work HARD to improve by practicing every day, they’ll never play in the big leagues. I’m not afraid to talk about this because I see a glut of first books or unedited books being self-published without a plan, without focus, without the quality. There are many wonderful indie books out there … but far more would benefit HUGE from a thorough editing — put developmental editing and line editing. I don’t like the mentality that it’s “good enough.” Though I believe I write better now than I did 10 years ago, every book I published was the best it could be at the time I published it. My older titles may not be “as good” as my current titles, but at the time that was my maximum. Ditto for Hot Latte — I couldn’t write it better at that time. Doesn’t mean I want to publish it. That’s the way it should be. Hi Allison. I agree completely with the value of rejection letters. Sometimes they mean, “Not for me,” but often they’re saying, “It’s not good enough.” Real writers go out and make it better. I was contacted by someone recently who I hadn’t seen in decades. She was thrilled to talk “writing” with me as her first book was about to come out. Yep, self-published. I read it and it did nothing but confirm my biggest gripe with self-published books; with no house putting their money on the line, you answer to no one. If you get an editor who’ll tell you the writing isn’t good, you don’t have to listen. I remember the feeling of giving up minor plot lines that I thought were brilliant when I wrote them, and the lights going on when I realized they bogged things down. It was liberating and delicious. I still love that feeling of recognizing I’m in a ditch somewhere and have to make my way out. This writer is waiting for a review from me. I can’t do it. If she’d asked my opinion before publishing, I’d have advised her on many fronts, but once it’s done and out there, there’s no point. I’m not a fan of giving negative reviews, but I can’t lie and say its good. Not fair to people who rely on reviews before putting their money down. So she’s published. I’m not. I just parted ways (amicably) with my agent. I have to find another one, which can be harder than writing the book. Thanks for the article. It can be hard reliving our dusty manuscripts.